Wouldn't it be fun if we all could be Irish? The first funny poem is all about the famous Irish gift of gab. 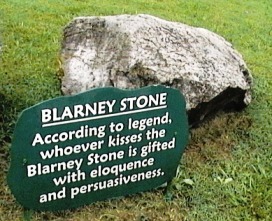 Although this gift is more likely fueled by Guinness, there is the legend of the Blarney stone. This stone is very inconveniently placed in the base of the Blarney Castle in the city of Blarney, in County Cork. Ireland. People have to practically bend over backward to kiss it, (and then there is the matter of germs, but I digress...) A kiss on the Blarney stone is supposed to give you the gift of gab. Not ordinary gab. Persuasive gab. If it’s truth or a fib. Or its truth that you own. of the kissed Blarney Stone. The next poem is a limerick about a man from Cork, Ireland. Some people think that limericks are Irish poems, because "Limerick" is a city in Ireland. However, despite its name, the limerick was first popularized in England, back in 1845, with Edward Lear's "Book of Nonsense." Please go to my limerick page to see an Edward Lear original, as well as a few limericks of my own. 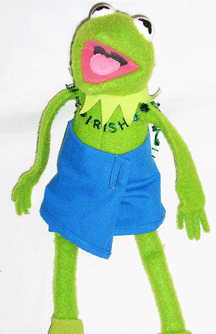 Better yet, go directly to my Irish Limericks page for a sampling of limericks about Ireland. The following limerick, by yours truly, is about a very good eater from Cork, Ireland. 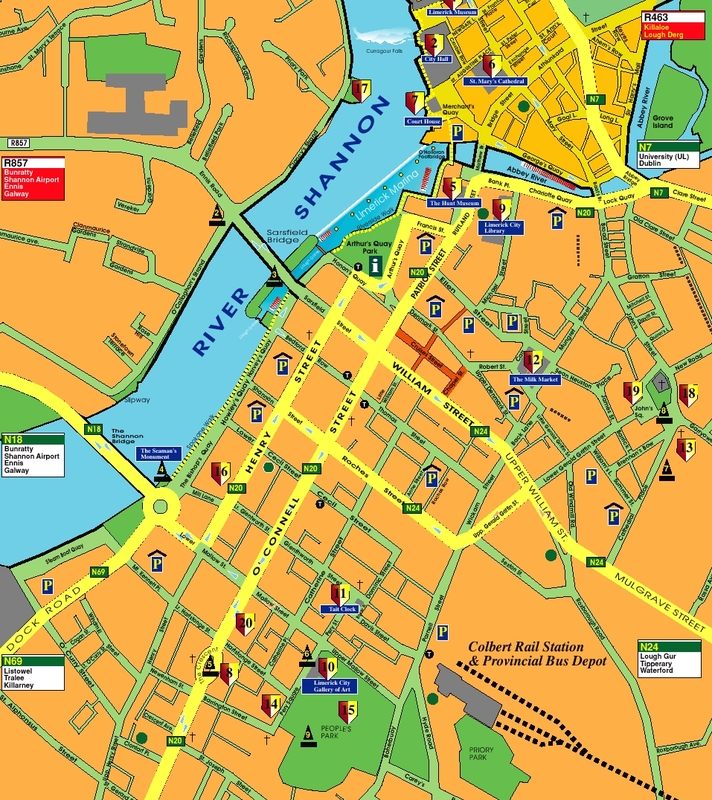 Once again, click on the map below for more information about Cork. Roasted beef and wild duck. And his manners? Well, yuck! Perhaps one day he’ll use a fork. The next poem is about a kilt. Now, it's true that the Scottish are best known for wearing kilts, and not the Irish. But I've seen an Irishman wearing one with my own two eyes. An American Irishman, but an Irishman nonetheless. Now, the very obvious question most women want to ask is exactly what is under that Irishman's kilt? Chances are the answer will vary from one kilt to the next. Tell me, what’s under an Irishman’s kilt? Is it an item to cause him some guilt? When he’s outdoors, does it get a bit breezy? When windy and wild, does it get a bit sleazy? Does winter wind makes bumps all over his body? Well, that is my guess, in an Irishy lilt. As I still do not know what is under that kilt! The next funny poem is about Ireland's magical number "three." Although many people think that the Irish Shamrock is a four-leaf clover (for luck), the truth is that the legend of the shamrock comes from Saint Patrick who used the three-leaf clover to explain the trinity (Father, Son, Holy Spirit), using the clover to show how three entities could form as one. There are some other notable "threes," as you will see. A wonderful grouping, between you and me. The magical number of Ireland’s Three. The next and final funny Irish poem on this page is about the famous leprechaun. 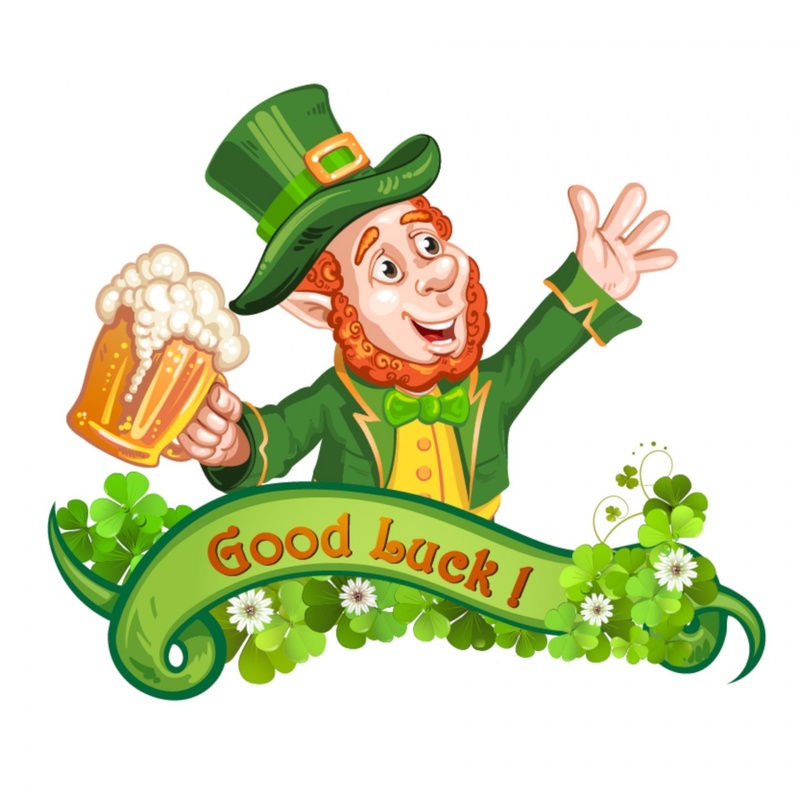 The leprechaun, according to Irish folklore, is a tiny old man of about two feet in height, a cobbler (shoemaker) by trade, who is both mischievous and rich. Rich with a capital "R." These little guys are the owners of those pots of gold at the end of rainbows and in other cleverly hidden places. According to Irish mythology, a leprechaun can be forced into sharing his gold with you. But, of course, there is a catch. In order to convince him to share, you must keep your eyes on him constantly. 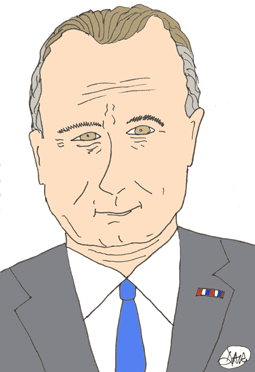 If you turn your head, he's likely to vanish in the blink of an eye. Click on the art below to see more information about Ireland. From down County Cork or from far Tipperary. A mere two feet in height. And earn your own gold! I certainly hope that you've enjoyed this collection of funny Irish poems!